The Fuji Dining Set is perfect for any eating area. 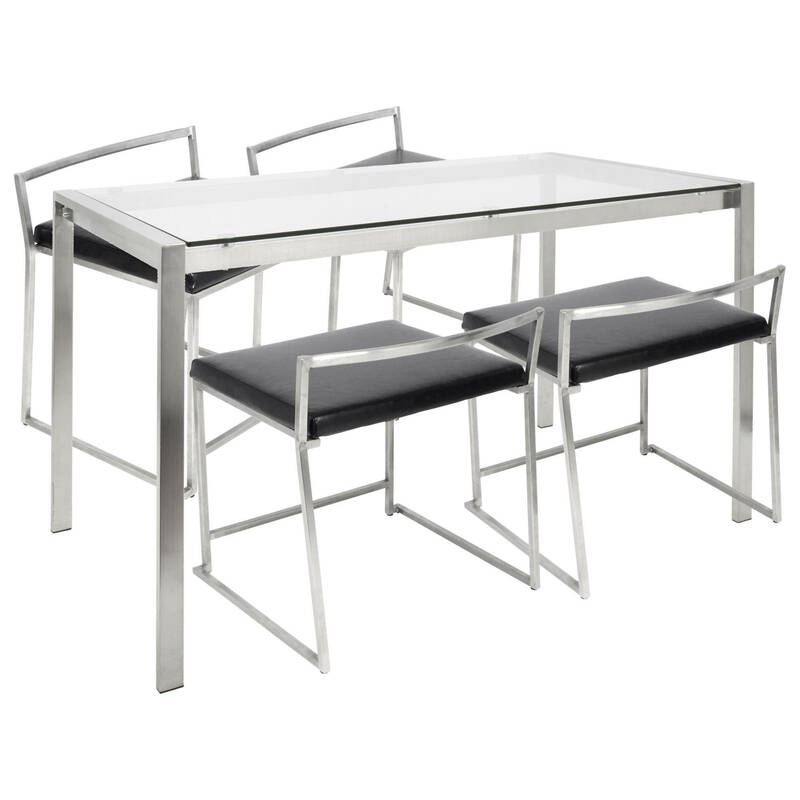 The simplistic lines of the Fuji Dining Chairs and the sturdy metal build of the Fuji Dining Table, this set will add that modern touch to your home. This set includes four Fuji Dining Chairs and one Fuji Dining Table.